I am so far behind on the blog! 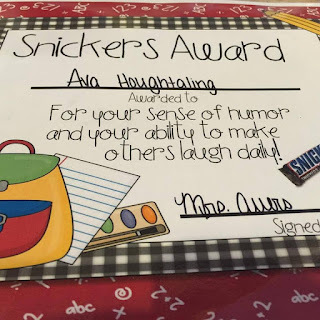 Ava's last day of school was on the 25th of May. I left work early that day so I could be there when she got off the bus. 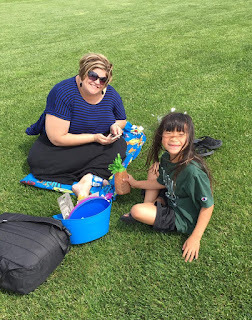 I had a little bucket of summer goodies and a fruity drink waiting for her to kick off summer break! 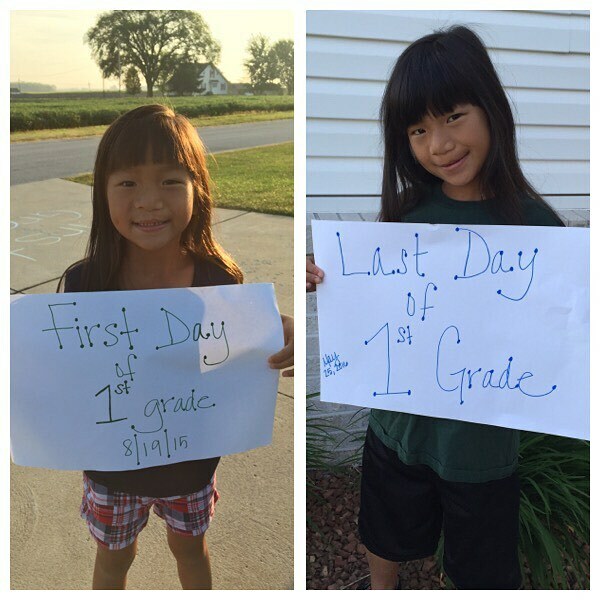 Can you believe how much she changed in the school year? So crazy! 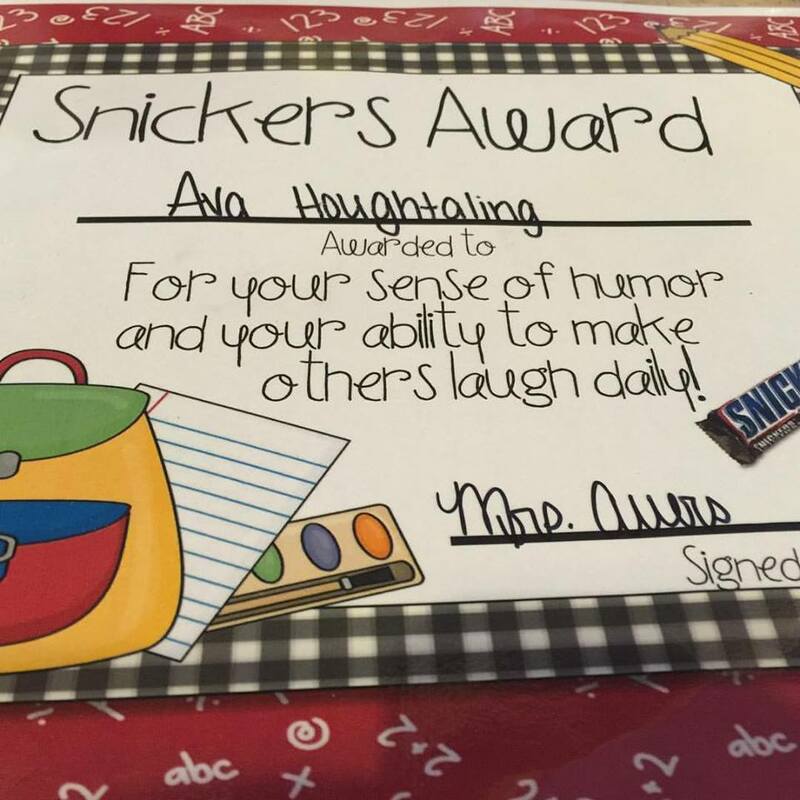 She received the Snickers Award this year. And I couldn't agree more!